Last Thursday (November 20th), we got to meet Korean-American rock band Royal Pirates through a live Google Hangout web chat session arranged by Universal Music Singapore Regional. Since Royal Pirates’ autograph session and appearance in Singapore was previously cancelled due to unforeseen situations, we were thankful to be given the opportunity to meet these fun and dorky boys behind the screen. 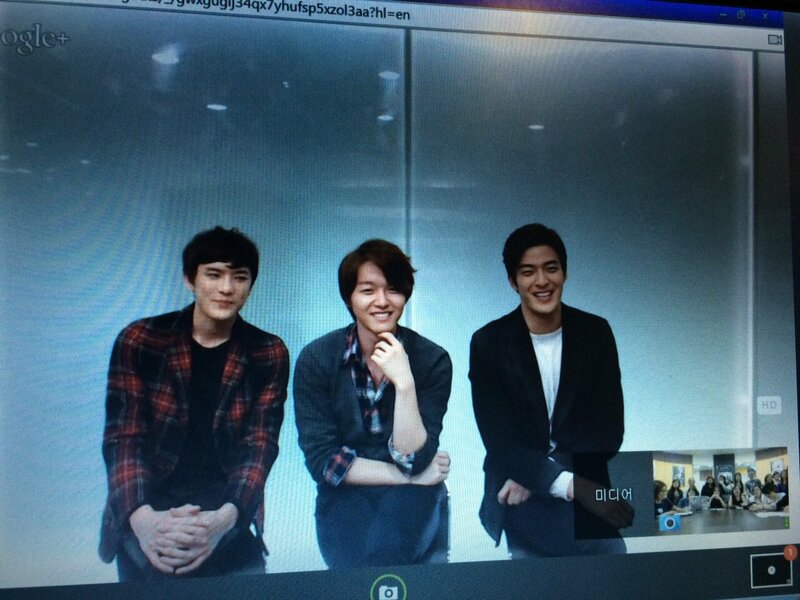 The private Google Hangout session was an amusing and light-hearted one, as we were all entertained by the three members of Royal Pirates. 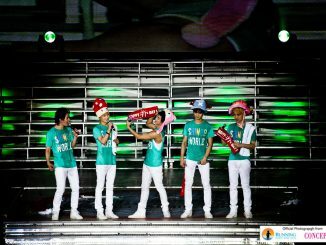 As much as we look forward to meet the members, they were also elated to greet everyone through the screen. 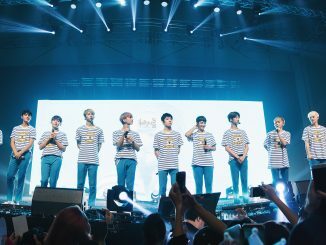 Though they were unable to make it to Singapore earlier this month, the band promised that they’ll work harder and return better and finer. 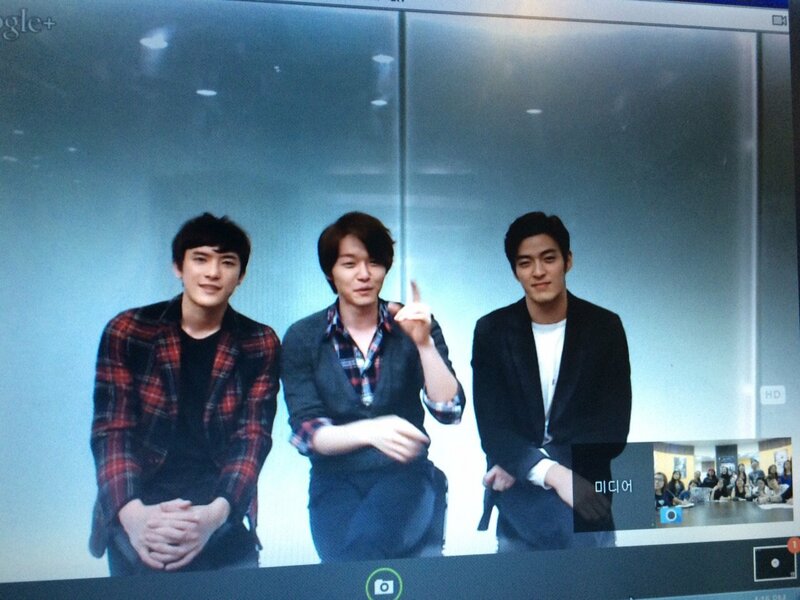 Check out the excerpt and highlights from the Google Hangout Session with Royal Pirates below! We were supposed to go to Singapore… (SooYoon: We really want to go, but it’s not our fault. *Laughs*) Thank you guys for showing us so much support, (I’m) so glad that we’re able to have this event (Google Hangout). We’d love to see you guys soon. And Men’s Fashion Week, where we played in a brand new country and it was there in Singapore. 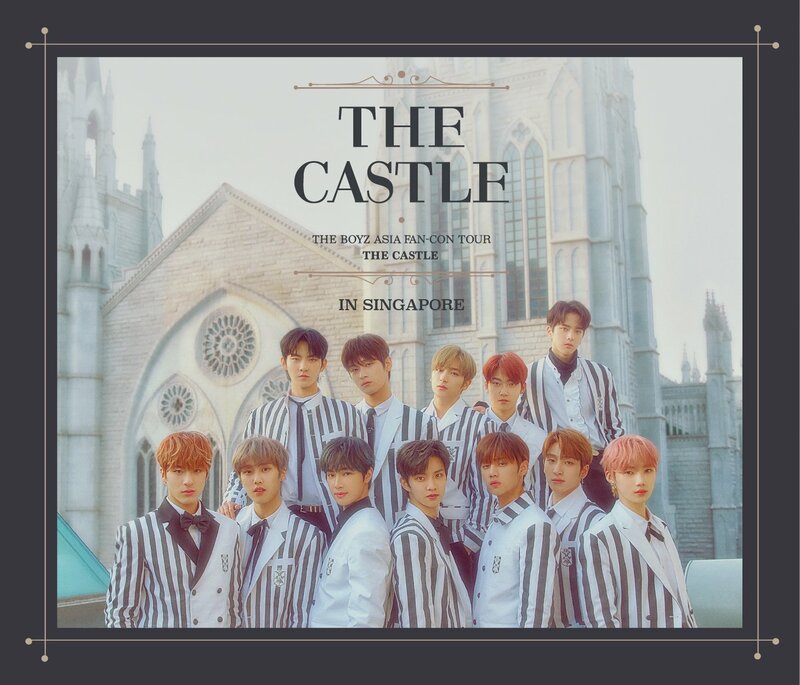 We really regret that we weren’t able to go but you can bet the next time we go there, it will be worth your time, it would be the best concert, you better be there! We really wanted to meet you guys, just make sure you come next time! We don’t have a plan to go yet, but we have plans to be there! We will be there someday and we expect that you’ll have a good time and it’ll be the best show. The next time we’re there, we’ll have new songs, better songs for you guys, so what we can do right now, is to make better music for you guys! We’ll do our best and see you soon. Thank you so much! Q: You guys grew up in LA (USA), why do you decide to go back to Korea to pursue your singing career? James: In the group, I’m actually the only one who’s born in the States and I lived there till 22 or 23. Moon and SooYoon moved there about 10-12 years ago, but they grew up in Korea. We got really nostalgic and we really want to go back home. Also, because we’re Koreans, we want to do music in Korea. When we put our music online, you guys remember our cover days right, our present company contacted us and so we had a chance (to make music in Korea) and we wanted to go back. We had an opportunity to be signed as artists in Korea and that’s what we wanted. Q: Royal Pirates is very fluent in English, so when it comes to songwriting, do you guys write in English first then Korean? Moon: I used to write in English, but nowadays because we’re in Korea, I started writing more in Korean. SooYoon: I used to write in English back in LA, but now that we’re in Korea, we have to release songs that are in Korean. Q: What bad habits of other members do you dislike? SooYoon: I am a fast eater but Moon eats REALLY fast. When I eat with Moon, I have to try to eat faster and I don’t like that. SooYoon: James sleeps and wakes up really early. I sleep really late so I tend to wake up late… because I spend time practising on my guitar. James: He practises his guitar so I don’t like this. It’s like 4am and I’m listening to SooYoon singing like crazy. Moon: We played at a rock festival called Citybreak. The crowd was really enjoying it. SooYoon: We actually played before we debut on this festival called Supersonic, it was last year. James: We had our first busking event in Hongdae and we actually forgot to bring our kick drum. That was one of the most important pieces in our drum set, and the fans had to wait an hour for us. We felt really bad and so we really gave it our all! Q: Are there any interesting encounters that happened due to cultural difference? Moon: I love the food here and also the culture. SooYoon: Everyone is skinny in Korea! Moon: In Korea, you have to greet your elders and seniors and bow like really low. Q: What other instruments do you guys play besides those that you are already playing in the band? James: I played the trumpet when I was in high school and college, and I also play the acoustic guitar and bass. I don’t really know how to play the drums – every time I play, SooYoon laughs. Moon: I play the drums, guitar, bass, and a little bit of keyboard. SooYoon: Well, I play the Tambourine (everyone laughs). I used to play the piano but now I’ve already forgotten everything. I played saxophone for a few years, as well as guitar and drums. Q: If you have a chance to switch your role with another member, who would you change with, and why? SooYoon: I’ll play the Tambourine! James: I want to play the drums really well, but if it was just the position that changed and the skills were the same, we would never succeed! Q: If you guys could do your own show, what kind of content would you want? James: Fighting or Crying Fist (Korea MMA show). I think that would be really fun to try. Or ‘We Got Married’! Either MMA or marriage! 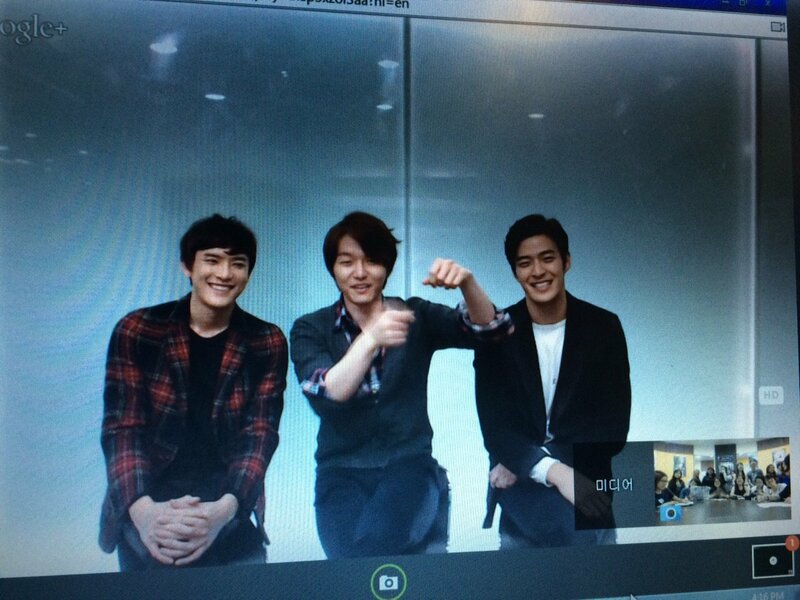 Royal Pirates: We’d actually get married! Moon: There is a show, a music survival show, where every 2 years, there is a music competition and you can join with your members to compose and create a song. That would be great! SooYoon: I want to do a show where I could just eat and be happy! 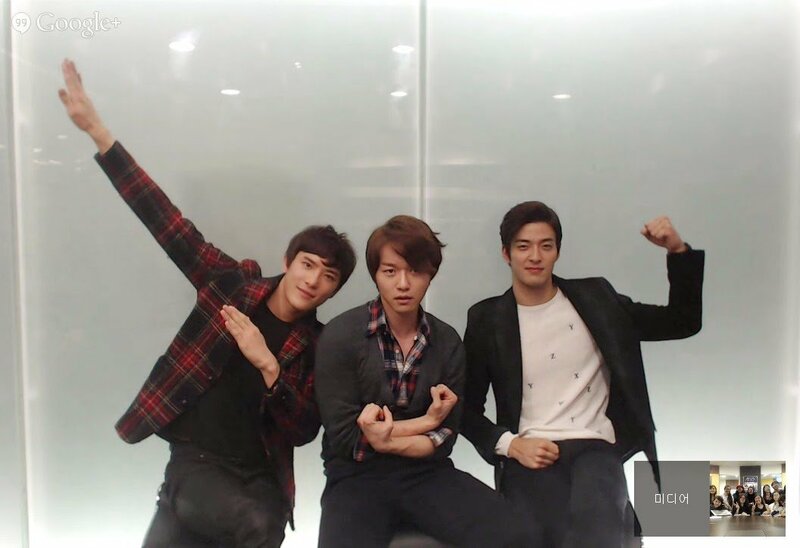 Q: You guys came for Men’s Fashion Week in Singapore 2 years ago, so what was most memorable to you in Singapore? 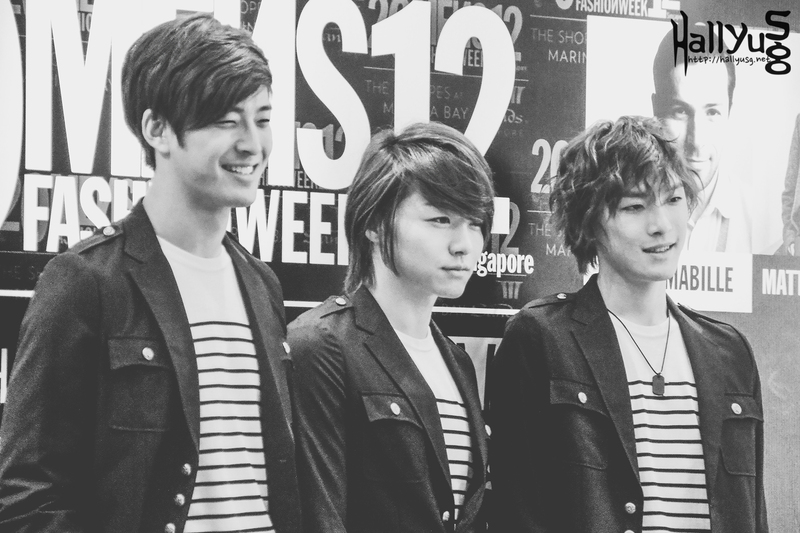 Royal Pirates: MFW 2012 was one of the most memorable experiences we had, and that was the first time we were actually overseas outside of America or Korea. It was amazing to see all the support from the fans. They gave us Sneaker Bars and we had fans who flew from Thailand and other countries to support us at the show. It was really fun! James: Singapore is like a hub of entertainment; all the fans flew there to see us! It was kind of like our debut stage at the national level. We didn’t even debut at that time. SooYoon: It was so clean. The floor was so clean and the weather was nice. I remembered the nice swimming pool at Marina Bay Sands. We tried to enter the clubs in the hotel, but we were wearing sandals and so we’re like “We’re Royal Pirates!” *Laughs*. Q: Is there anything you would like to try the next time you come to Singapore? SooYoon: Go to that same club! Oh we should go there (Universal Studios Singapore). Q: If you could spend one whole day with the fans, what would you do? James: USS (Universal Studios Singapore), Eat? Moon: Just hanging out together. SooYoon: We should have a pool party. Swimming competitions! James: If any fan can beat me in a swimming competition, I’ll give you 1 Singapore Dollar (S$1) or 1 signed album! SooYoon: Or if you could beat Moon at eating faster! Moon: And a skiing competition with SooYoon! Q: What would you do if you were a girl for a day? James: Why would the only guy in the room want to know this??! Moon: I’d get my nails done. SooYoon: I’d go to a public sauna. James: I’d watch Oprah or some chick flick like… I’ll do something really girly. Q: Name a food that represents the other members. James: Moon would be something that is really high in cholesterol. (Started laughing) Like a steak! SooYoon: James would be a taco or a can of Pringles. James: Sooyoon would be a French fry, just one single french fry, and Moon would be like a extra large Big Mac! Q: Define your dream girl. James: My dream girl changes too often! It depends on the drama I watch! My dream girl would be someone who is beautiful but she has a lot of passion. Someone who is very passionate. Moon: Long brown hair, about 5”7’, big eyes, white skin. SooYoon: I like somebody who can speak English and Korean, so that we can share the same kind of humour. I wish she has long dark hair and is someone who smiles a lot. Moon: When she smiles, her gum shows. Only show the side, not all her gums. Q: What do you do to stay motivated even when you’re feeling tired? James: In Korea, there’s this kind of system that we had to adjust in this line. A lot of people don’t sleep at all, so staying motivated is one of the most important things. I tend to look upon my family and my parents because I know that they worked really hard to support me. Eventually, I want to work hard enough to support them so I know there’s no time to rest. Staying passionate is not enough, I like to keep things simple so I came to realize that the most important thing is to stay happy throughout the day. That keeps me going. Moon: For me, when I take shower in the morning, I turn on the music really loud and it puts me in a really good mood when I do that. I just think positively in everything I do and even when bad things happen, I try to be optimistic. Just by having a positive mindset, you can come up with solutions with more passion and hope. With hope, you can really have passion. 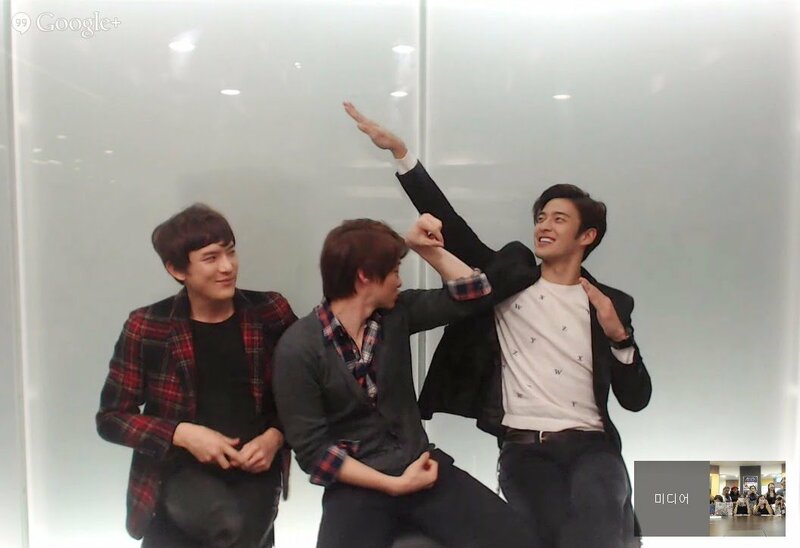 SooYoon: I’m not motivated. (All members burst out laughing) Um… You just don’t think, and start doing stuff. Just do it anyway, then as you do it, you’ll find out that it is not that bad and you get motivated. So… JUST DO IT!! It was really nice meeting Royal Pirates and we would like to thank Universal Music Singapore Regional for facilitating the Live Google Hangout Web Chat Session with the band. 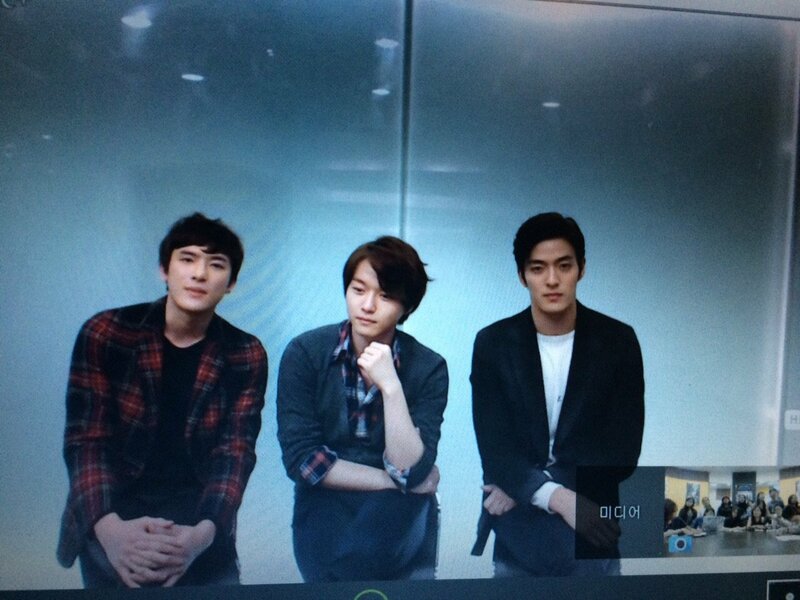 Till we meet you in Singapore next time, Royal Pirates!